A PLC or a Programmable Logic Controller is also referred to as an Industrial Computer, which is actually a major element in the field of industrial automations. This is not as simple as desktop computers when it comes to operation because you need to attend trainings for this specific task. Industrial or Control engineers study this special purpose digital computer and how to control it. Manipulating this special machine is essential in different business industries. Therefore, exceptional skill is needed to operate a PLC. Anyway, this is a job opportunity offered to the engineers that they should not miss because it is a career to look forward. The traditional industrial control systems are based on control panels that were operated, depending on its electromagnetic relays based on special timers. The major reason why a PLC was developed is to replace that traditional control system in the industries. The PLCs monitors the inputs, coming from the sensors and then, it produces the output, which decides in operating the actuators. And then, these actuators are also based on the programs installed in the system. The CPU Module has a central processor as well as a memory, which consists of a RAM and ROM. The Operating System, the drivers and the application or programs are installed in the ROM. And then, it is in the RAM, where the user-written programs as well as the working data are stored. This module is responsible in the computations and processing of data. Therefore, input is accepted and then, an output is produced. The PLCs has retentive memories, so when the power supply breaks down, user programs are still saved. The Power Supply Module is responsible in supplying the needed power that a PLC system requires, especially the CPU and the I/O modules. It is done by converting the AC power to a DC power. You can always get additional info about power supply of PLCs online. We cannot avoid having power interruptions, but this is not a worry on the PLC’s operation. Anyway, operations will be restored when the power supply comes back. The I/O Module is responsible in connecting the sensors and the actuators to the whole system. This is necessary for controlling real-time variables, such as the temperature and the pressure flow. A PLC may have a Digital I/O that is used in digital connection like switching the on and the off. 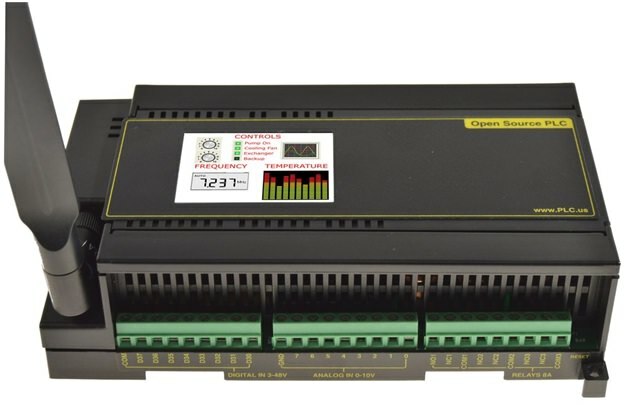 It may also have an Analog I/O connects to the system using analog electrical signals and uses an analog to digital converter for the processor to understand the I/O data. It also has an intelligent Communication Interface that is used for exchanging information or data between the CPU and other computers, network or PLCs. The first type of a PLC is the Compact or the Integrated, which is built with several modules and is in a single house or case. The manufacturer and the user decide the capability of the Input and the Output. Some of this type are somewhat modular and also allows connecting additional I/O. And then, the second type of a PLC is the Modular one, which is plugged into a rack, which is capable of extending the I/O. This type comes with the CPU, Power Supply and the I/O modules. All of these modules are plugged into a rack. These may come from different manufacturers, sizes and capabilities, basing on the program installed, the size of the memory as well as the I/O features. The modular PLC may have a small size, which is actually designed to replace the hard-wired relay logics and timers or counters. It is limited with one or two modules only, using programming languages. The medium size is usually found in the PLC industries, allowing different plug-in modules. The PLC has a backplane system and it is where these modules are mounted. The large size requires a complex function of the process control. It has a higher capacity when it comes to the memory as well as I/O points and other modules. 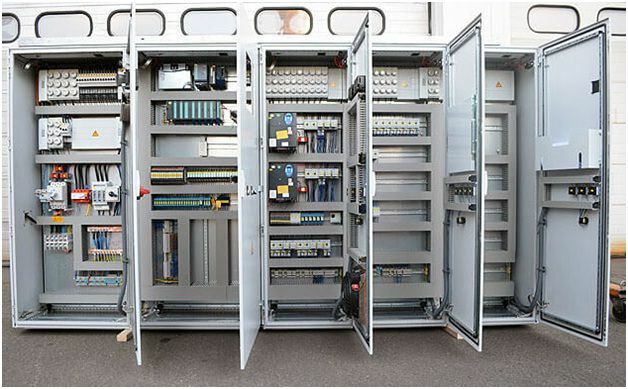 Most of the large size PLCs are used in SCADA systems or the supervisory control and data acquisition systems. You may direct to https://www.elprocus.com/scada-systems-work/, to know more about SCADA systems. One of the tasks that Industrial or Control Engineers must know is about the Programming of a PLC, which really needs ample time to master. Anyway, if you are good at solving problems or mathematical equations, then programming is not a problem for you. You just need to know the syntax and the language used. Most of the PLCs requires a Ladder Logic programming. This actually uses symbols as a language and not words. Lines are also used to interconnect those symbols. If you are going to look at a PLC program, it resembles a ladder. But it is actually a representation of an electrical circuit.